Mount Sidley (4181 m) – the highest point of the Mary Bird Land, in very rarely visited area. It is officially recognized as the highest volcano of Antarctica, one of the “Seven volcanos of the World”. Mt.Sidley - a large mountain, with a huge caldera, which forms a wall height of 1200 meters, the opposite slopes of the mountains are flat and could easily be reached on skis. 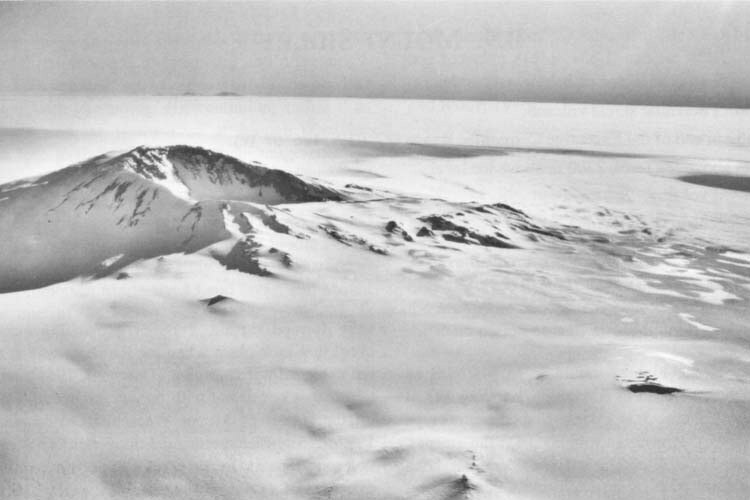 A layer of ice in the area reaches is a three-kilometer thick. There is no actual volcanic activity in the region, according to scientists last eruption occurred about 4.7 million years ago. Day 1 Arrival in Punta Arenas. Accommodation at a hotel. Day 2 Purchase of products and equipment in Punta Arenas. Day 3 Briefing in the office of Adwenture Network. Preparation and packing equipment. Day 4 Flight to Antarctica to the Patriot Hills. Day 10 Reserve day in case of bad weather. Day 11 Reserve day in case of bad weather. A prepayment of $ 5000 (including $ 1500 non-refundable amount) must be done not later than 120 days before the expedition. The remaining amount must be paid no later than 90 days prior to the expedition. In case of refusal to participate in the program less than 90 days before the beginning of tour, the money paid for the program will not be returned ! To visit Antarctica you will need to fill out a special questionnaire. Hotel to be paid extra. Our price includes hotel reservation only. In Antarctica, we stay in good tents for 2 or 3 persons.